As one of the founding members of InterMedia, Susan has been instrumental in expanding the geographic scope, methodological approaches and strategic application of the company’s research and evaluation expertise in global media and communication. 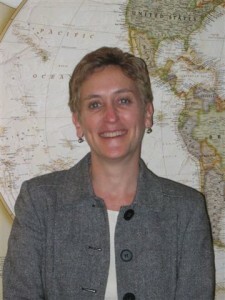 She has more than 17 years’ experience “listening” to audiences and directing international qualitative and evaluative research that has helped clients shape their programs, target their messages and measure their effectiveness in increasingly complex and competitive media environments around the world. She has worked with diverse clients from across the public, private and international broadcast sectors. Susan holds an MBA from Georgetown University’s McDonough School of Business and a Master’s of International Affairs from Columbia University.